f you are not family with this awesome thing then surely you might be curious to know what is PowerApps ?, How it works? Where can utilize it? and there are many more questions. To resolve all these queries we are starting a Zero to Hero series in PowerApps. You will find a series of the blog going forward and we will do deep dive in PowerApps. You will find a lot of different definition for PowerApps but for me, it is a tool which gives you the power to create your business application which can run on web/mobile/tab with a little writing or without writing code. 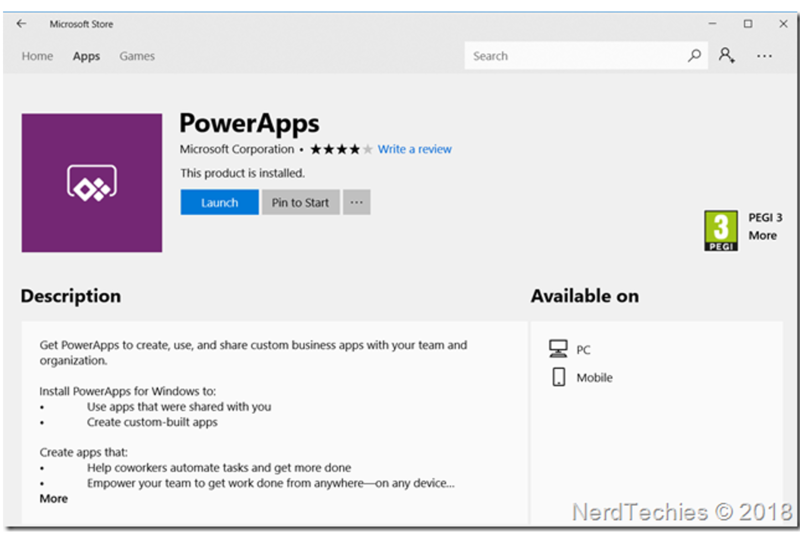 PowerApps tool is super easy to use and with the help of this tool, you can create the various business app in which you can use any data source like SQL Server, Excel, twitter, facebook etc. Although, PowerApps is basically created for Non-developers but still as a developer you can use it. In nutshell, we can say it Platform As A Service model. PowerApps has various controls & templates which we can utilize to create our business App. We can create PowerApps by 2 ways either we can download PowerApps app in Window 10 from Microsoft Store as shown in the figure below. Once you downloaded or open the PowerApps first or foremost important is to login into the tool using Microsoft /OutLook/office365 account. Once you have done with sign up process. you have to provide your valid username & Password to access it further. In next blog, we will see how to create our first simple Power app.